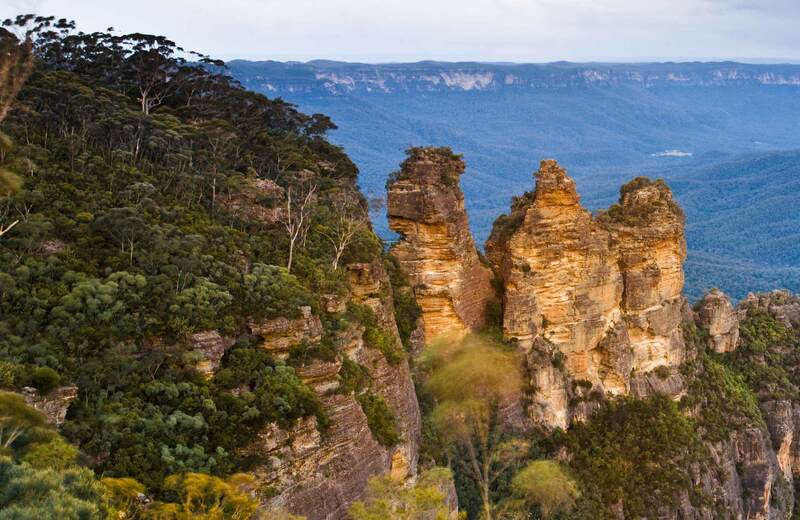 Scenic valley views and wildflowers abound on Prince Henry Cliff walk between Katoomba and Leura, via iconic Three Sisters and Echo Point in Blue Mountains National Park. 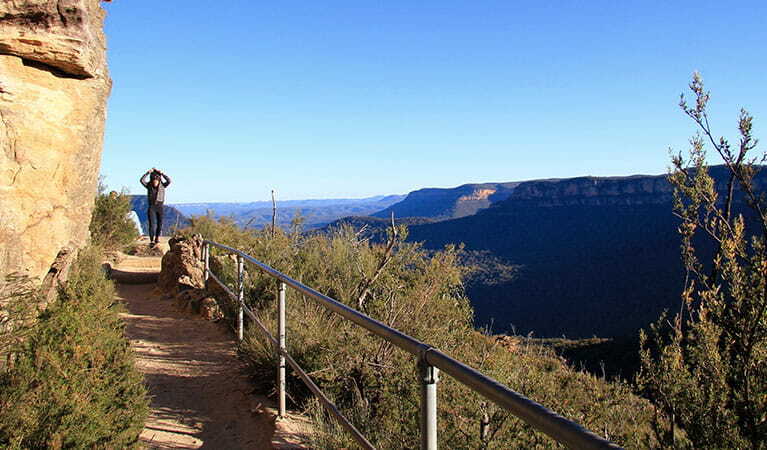 The Visitor Information Centre at Echo Point is a good place to pick up maps and find out more about the area. The centre is open 9am-5pm daily and closed on Christmas Day. 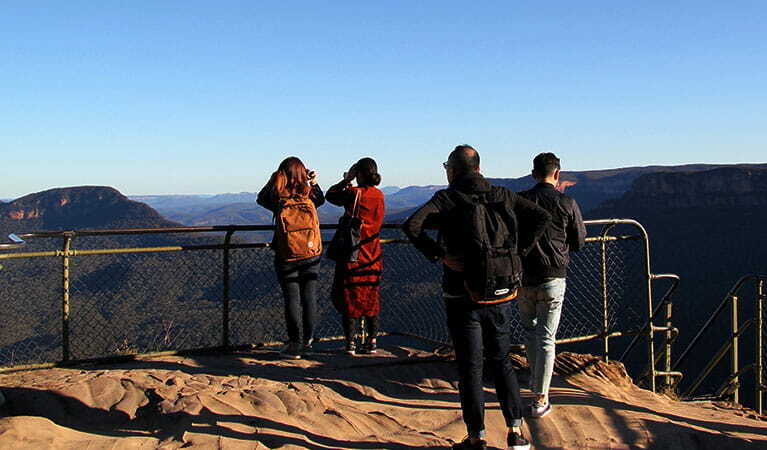 If you’re fond of magnificent views, famous lookouts, and iconic scenery, then look no further than Prince Henry Cliff walk, in Blue Mountains National Park. 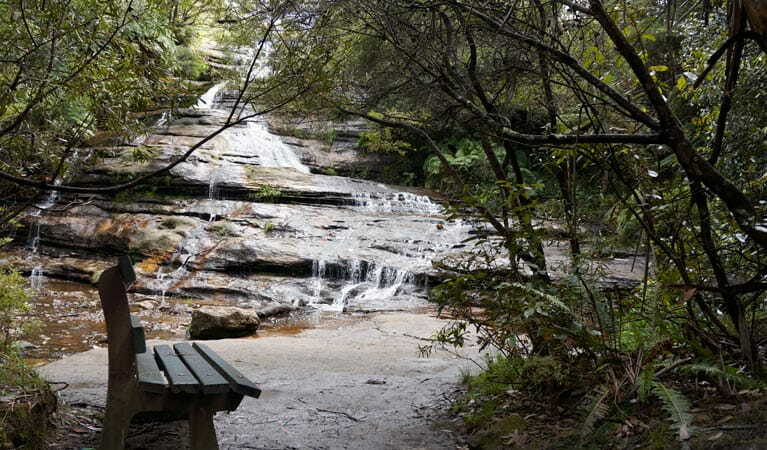 Following the cliff edge from Katoomba Cascades to Gordon Falls, near Leura, this moderate walking track boasts some of the best views in NSW. Passing several unique hanging swamps, take a look at the variety of sedges, rushes and grasses. In summer, you may see the beautiful yellow and gold flowers of Christmas bells. 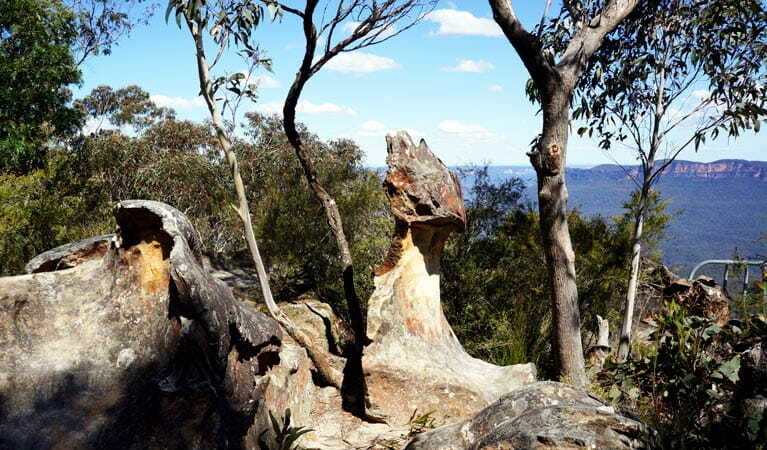 With over 20 lookouts offering magnificent views of Jamison Valley and three waterfalls, this track is a visual delight at any time of year. 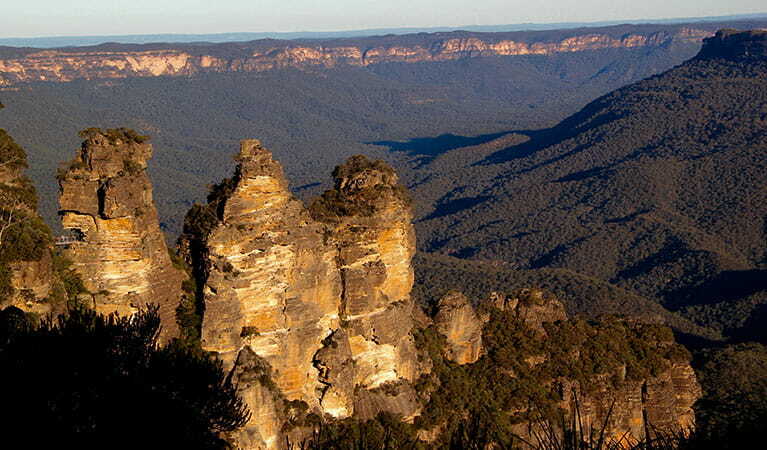 From Echo Point lookout, you’ll see the iconic Three Sisters. 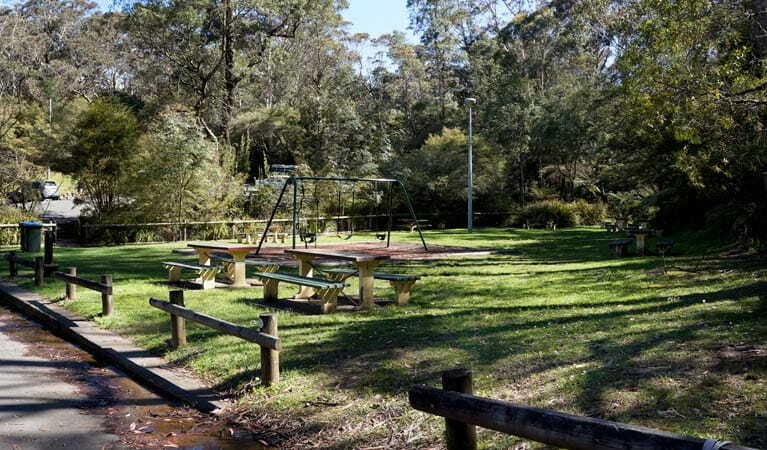 Pick and choose the length of your walk, picking up the track at various lookouts along Cliff Drive. Unroll the picnic blanket when you’ve found the perfect spot and enjoy a picnic lunch with a million-dollar view. Take a virtual tour of Prince Henry Cliff walk captured with Google Street View Trekker.